I saw the movie 12 times, back in the day when you had to go to a big dark room and watch it at preappointed times. The number was a proud record for me until Monty Python films came along. I returned again and again to the theater, usually by myself. 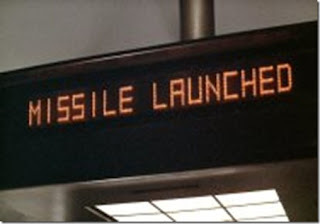 I watched it again recently, after a break of about 25 years, and wasn’t nearly as impressed as I remember. What made me love it so much? Well, for one thing, it looks great. It was directed by the polymath daredevil George Roy Hill, and shot by cinematographer Conrad Hall, only one of the top 10 who ever lived. But it just doesn’t make any damn sense. It seems now like a vast borrowing from previous traditions. It’s a buddy movie, an elegiac end-of-the-West movie, a chase film, sprinkled with some romance, and not a little comedy. And a little musical comedy – what in the hell is “Raindrops Keep Fallin’ on My Head” doing in there? It mixes styles and even filmstock with impunity, moving from sepia to full-color, deep-focus shots, changing lenses every other scene. The duo’s leap from the cliff is from “Gunga Din”; the slo-mo violence is pure Peckinpah, and their final apprehension comes straight out of “Treasure of the Sierra Madre.” It’s Hope and Crosby on steroids. It’s said that all and sundry involved were just ripping off “Bonnie and Clyde,” which came out two years earlier – another tale of outlaws presented as cheeky, rebellious, fun-loving proto-hipsters. However, something must have been in the air, for Goldman had been researching the story for eight years. The success of the French New Wave and its American imitators trying made the moneymen have to put up with experimentation and creativity – those things were actually paying off! Filmmakers were now open to, if not expected to, be non-standard and innovative in content and form. 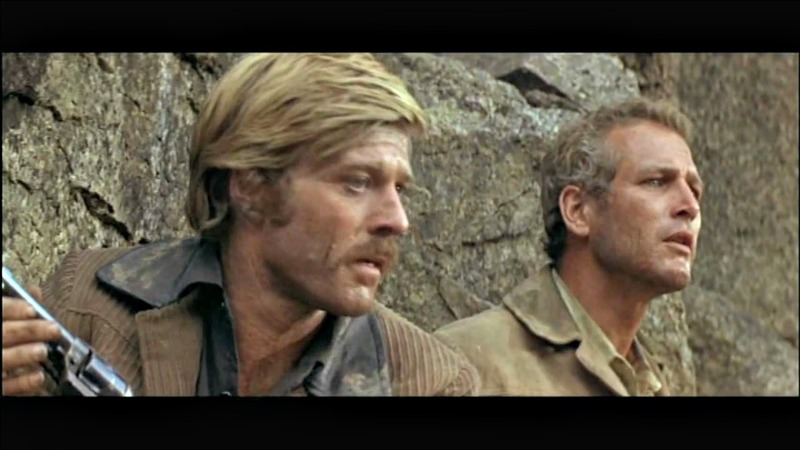 “Butch Cassidy and the Sundance Kid” is innovative only for its own sake, though. It carries very little thematic weight. We have the standard bit about the Closing of the Frontier. The Man in this instance is the big, ruthless Machine of Progress, powered by faceless killers like the posse that chases the heroes, never seen up close. (It’s not insignificant that it takes an entire army to destroy the duo, as the characterization of Bolivia is casually racist.) 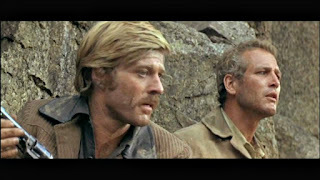 And, as for countercultural significance, casting two of the most handsome, normal-looking, articulate, and charming white guys in film history as the rebel-buddy-heroes is almost literally a whitewashing of history. And it worked. At the time, I LOVED the nonsensical insertion of the song. At the time, I was madly in puppy love with my best friend Todd Dickson's sister; we used to act out the scene to the soundtrack album. I laughed at the funny parts, I tensed when the posse got closer. I didn’t even mind the weird New York City photo-montage, shot that way because the studio wouldn’t let them shoot on the “Hello, Dolly!” sets, so they snuck in and got stills. I reacted exactly as expected. I cried at the end. I was young; I could roll with the punches. And that’s film is meant to do, to involve you, to entertain you. It doesn’t have to hang together or make sense or observe the three Aristotelian unities or any of that crap. It has to hold our attention and want more. Now that I’m older, I want tonal consistency. I can’t just watch anything, and for hours at a stretch. My diet has become more discriminating, my absorption rate slower and more selective. I can’t gobble down films like I used to, and all that I have seen since “Butch” premiered has rubbed off some of its luster. It met a need at the time for me, obvious, and for many others. It’s instructive to learn that sometimes the experience of a film is like a love affair -- it doesn’t have to be significant or even make sense or stay with you forever. Sometimes we just need to be taken out of ourselves for a while.